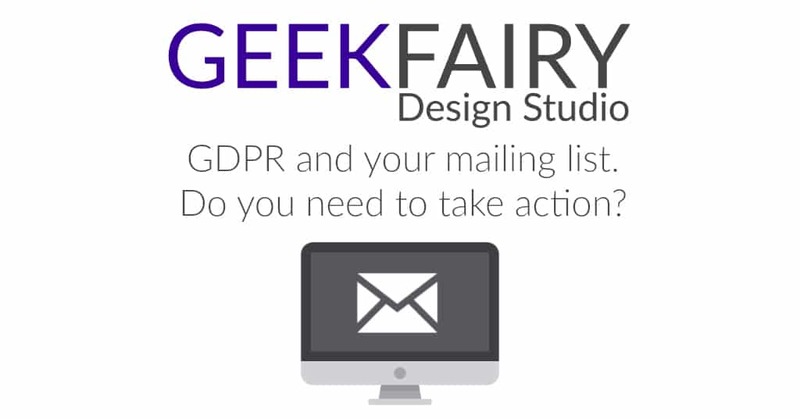 For many small businesses and bloggers there has been concern that they need to contact their mailing lists and ask people if they still want to be on that list. They filled in the box on your website that has a ‘sign up here to join our mailing list’ title. Therefor they have given their explicit consent to be on your mailing list and you don’t need to ask them again. You took their email when they purchased something / entered a competition / emailed you and you added it to your mailing list. This was NOT explicit consent. If your mailing list is made up from option 1, you don’t need to do anything else. If your mailing list is made up from option 2, you need to email all the people and ask for their explicit consent to stay on that list. If it is made up from a mix of 1 & 2 and you have no way of separating it out then you will need to ask everyone for their explicit consent to make sure you are covered.